Birds make wonderful pets for the whole family. 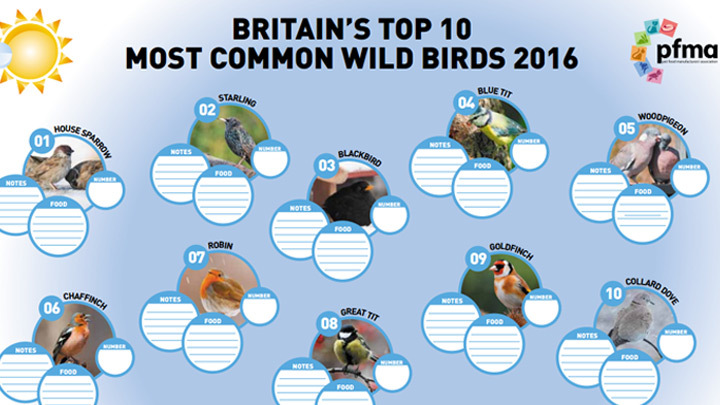 The latest population statistics show there are over 1 million pet birds in the UK. In addition to being beautiful to look at, birds are inquisitive and intelligent and have a great capacity for learning. They are highly sociable, eager to learn and can develop strong bonds with their owners. All of these personality traits provide huge entertainment for the whole family. The enjoyment of caring for a pet bird can also last the duration of a frequently long life so it is a significant commitment too. Larger birds such as the macaw can live for 60 years or more, while smaller birds such as budgies can live for around 15 years. 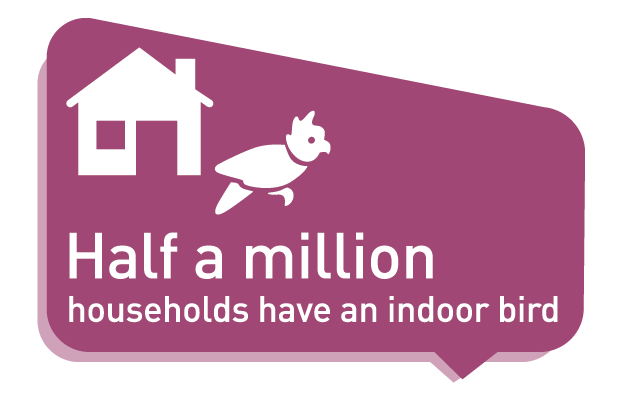 Also, because of their size and housing requirements, birds can be enjoyed by those unable to care for larger furry pets. In this section we have some tips on what to feed, the type of cage you need, how to ensure good hygiene and how to keep your bird happy and healthy! Do also click through and print off our Fact Sheet below. 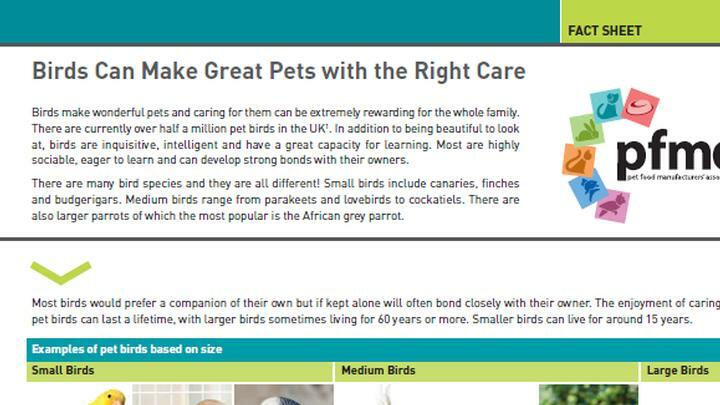 Here you will find everything you need to use our Pet Size-O-Meter for your bird. In this factsheet we aim to answer some of the most common questions about bird food and diet.